NOSA: Our first experience with My Green Apron wasn’t the greatest and if we’re being completely honest, I was not particularly eager to give it another shot. But they just got a food truck, a more expansive menu, and the owner acknowledged our issues in the comments of the initial review. . FOLLY: Yeah I’m not going to lie, that experience kept ringing in my head as we took a leap of faith with their newly launched food truck. I was expectant because the menu and the pictures of the food looked really good on Instagram. NOSA: So yeah, why not give it another shot? FOLLY: There was quite some traffic in Lekki and I was lazy so I placed an order for delivery from the truck within Lekki Phase One. FOLLY: I see my coworker eating bulgur all the time but I’ve never tried it. In fact, I don’t even know the health benefits of substituting bulgur in place of rice but hey all the healthy kids are doing it so I jumped head first. NOSA: It tasted a bit like rice, but then again, I ate Folly’s leftovers. FOLLY: The jollof bulgur was absolutely tasty. The texture and consistency of bulgur was more similar to pasta than rice, but a hell of a lot starchier and chewy. NOSA: Now, that you mention it. I definitely see the pasta thing. A bit like orzo in some ways. FOLLY: I did enjoy it and I will definitely consider making it at home. The chicken suya breast was also great. The chicken was so lean and smoky. You could taste that this was made on charcoal grill or at least charcoal smoked. NOSA: The chicken suya didn’t do much for me, but again, I ate Folly’s leftovers so take my comments with a pinch of salt. What I really liked was the sweet potato mash and I can’t believe we didn’t get a good picture of it. Anyway, it’s not much of looker but just know it’s a slept on star on the MGA menu. Largely because of the guacamole, I ordered the Steak Wrap. If you want to sell me, you should definitely go with guacamole. 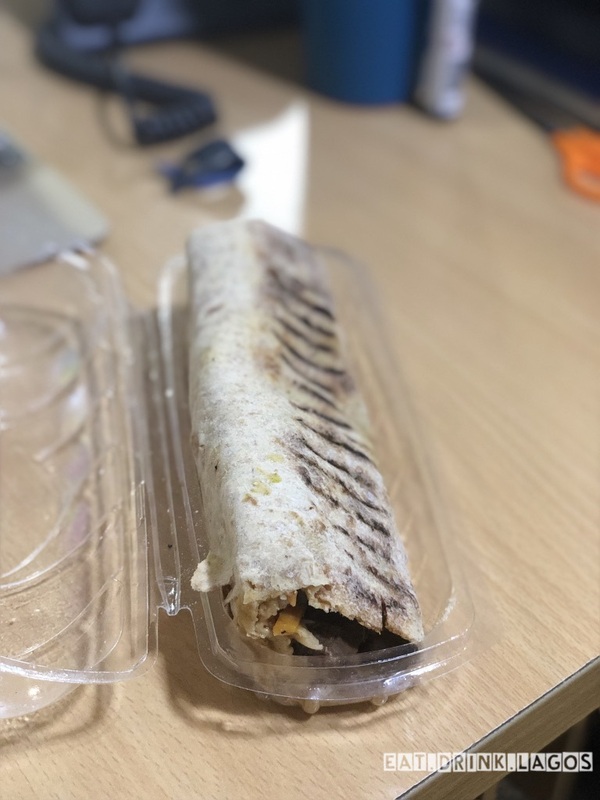 Like the wrap from The Health Kitchen, the steak wrap did leave me filled with guilt and regret. The steak strips weren’t tasteless and the guacamole wasn’t lacking in salt. It sounds like a minor thing, but lots of people think they can just mash up some avocados and tell you it’s guacamole. No, sir. I probably should’ve ordered a side with it because the wrap didn’t particularly fill me up and I probably should not have expected it to. I mean, I’m a big boy. What I really liked, even more than the food, was the price point. Eating healthy in Lagos is not just a struggle but it’s expensive as hell. MGA serves an incredible menu at a ridiculously affordable price point. In our last review of MGA, I complained a lot about how the pricing wasn’t sustainable. All of those complaints are out the window now. They’ve definitely hit the sweet spot. Or maybe I’m just paid better now. Either way, point stands. NOSA: Despite forgetting to send me the bill until COB, I’d definitely go back to MGA Food Truck. It appears a whole lot has changed and I’m a fan. FOLLY: I agree with Nosa, I’m a huge fan of the MGA Food Truck and Lekki desperately needed this. The sweet potato mash is delicious and even if for nothing else, I will be back for that.